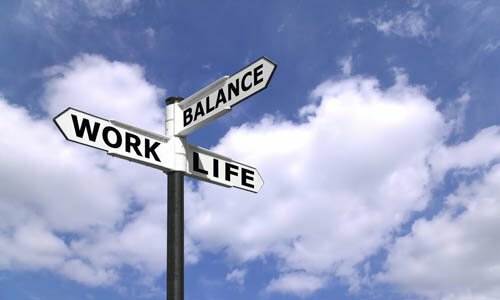 NIST is a strong believer of a healthy work-life balance, which is why we have a number of programs dedicated to making the transition from home to office as easy as possible. From teleworking to flexible work schedules to NIST shuttles to and from Metro and Marc trains, each benefit was designed with the person behind the position in mind. A number of NIST employees currently telecommute one or two days per week, working either from home or at an approved satellite work location near their homes, called telework centers or telecenters. The General Services Administration (GSA) Public Buildings Service owns and operates 16 telecenters in the Washington Metropolitan Area. Opportunities to telecommute differ from office to office depending on several factors, including work assignments. Supervisors must approve telework requests. Gaithersburg and Boulder employees also may be allowed to work one of several alternative work schedules, subject to individual office policies and supervisory approval. These alternative work schedules make NIST an employer of choice and indicate the Agency's commitment to maintaining a family-friendly work environment for its employees. View a full list of possible work schedules at NIST. Both the Gaithersburg and Boulder locations offer on-site child care. The on-site child care centers may have waitlists for spots at any given time. You can find more information online about both the NIST Child Care Center in Gaithersburg and the Commerce Children’s Center in Boulder. The federal government offers a monthly subsidy to full-time employees who commute to work via vanpools or public transportation at least 3 days per week. Get more information. NIST employees in Gaithersburg can use a free shuttle service that runs between the Shady Grove Metro Station and NIST during normal work hours. There is also free Maryland Rail Commuter (MARC) shuttle service in the mornings and afternoons. The shuttle operates between the Metropolitan Grove (AM)/Gaithersburg (PM) MARC Stations and NIST. The Department of Commerce (DoC) also reimburses government employees who bicycle to and from work, up to $20 per month for bicycle commuting expenses (not to exceed $240 per calendar year). Commuting expenses under this program may include the purchase of a bicycle or lock, parking/storage, parts, rentals, repairs and general maintenance. Participants may not concurrently use the bicycle benefit with other DoC commuter benefits (e.g., mass transit, vanpool, or parking) during the same month, but may cancel one benefit and initiate another one on a monthly basis. Get more information about the DoC’s bicycle commuter benefit policy, including answers to frequently asked questions and the Bicycle Commuter Subsidy application and reimbursement form. The NIST Employee Assistance Program (EAP) is a free counseling, consultation, and referral service available to all NIST employees and their immediate family members in Gaithersburg, Maryland; Boulder, Colorado; and Charleston, South Carolina. EAP counseling services are confidential, and employee rights to privacy are stringently protected. The EAP can assist employees by collaboratively exploring avenues toward resolving work or personal problems that may adversely affect work performance including stress management, change management, concern over job uncertainty, work-related distress, emotional distress, alcohol/drug related problems, child or spousal abuse, marital/relationship problems, legal/financial concerns, grief and loss, worries over health problems, and coping with elderly or infirm relatives. For more information on NIST EAP please contact Bob Norton via email or on 301-975-5129.